Perth Graphics Centre is designing more banners for Perth than ever before. Vinyl banners will make your business in Perth stand out. 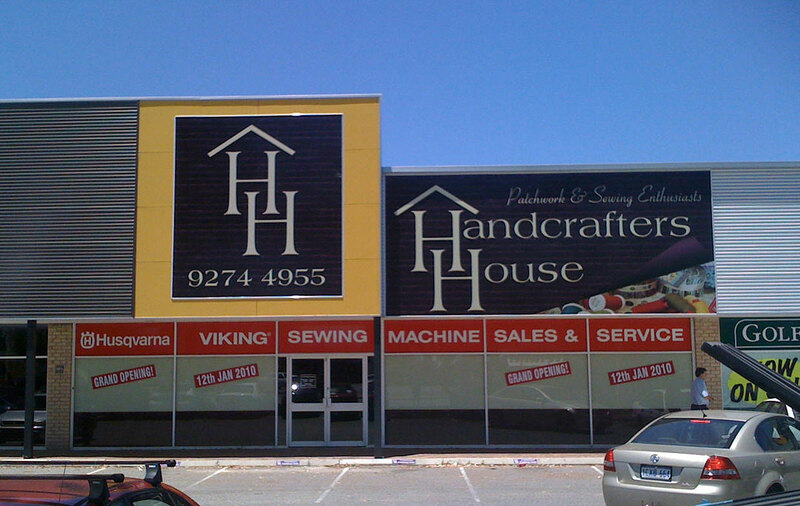 Perth Graphics Centre sews your banners with ropes and eyelets, making your banners stronger than the rest. Our banner makers print with outdoor grade inks ensuring your banners are long lasting, and Perth Graphics Centre knows that banners that last longer are more effective. We’re based in Malaga, and can courier everywhere to ensure you get your banners on time. Perth Graphics Centre can manufacture small banners, large banners, indoor banners, outdoor banners, roll up banners, retractable banners, single colour banners, full colour banners, plastic banners, canvas banners, PVC banners or any kinds of banners you require. If you have an event, banners can let the public know it’s on. 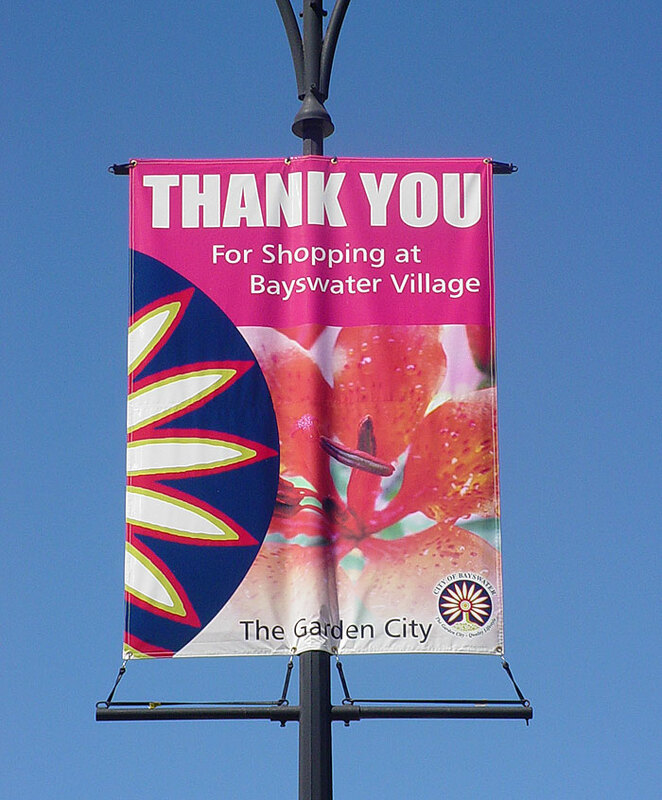 Banners can be used as a point-of-sale product or you can use banners for your Perth business. Seen above are two kinds of banners. One is a normal PVC banner, and the other is a building banner. We can print sale banners, display banners, exhibition banners, promotional banners; really, Perth Graphics Centre can print any kinds of banners. If you need a hand with installation of your banners in the Perth area, we can assist or we can advise what banners are best for your requirements. We can even guide you on how to put up your banners yourself. 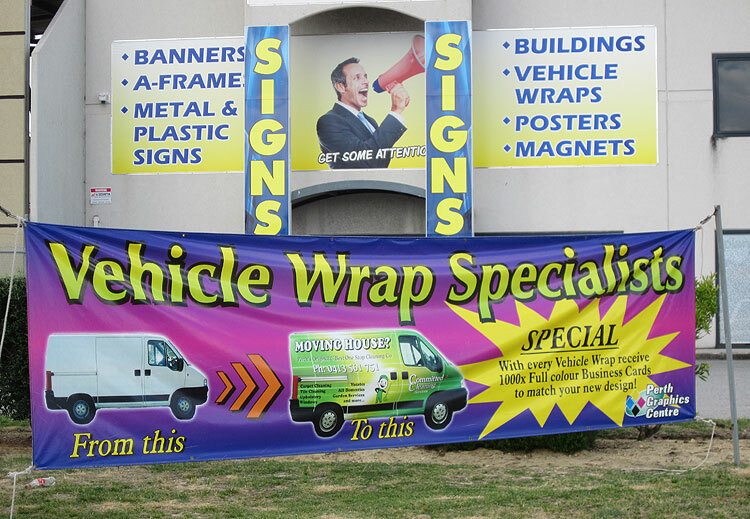 Just call us to find out what the best banners for your needs are. 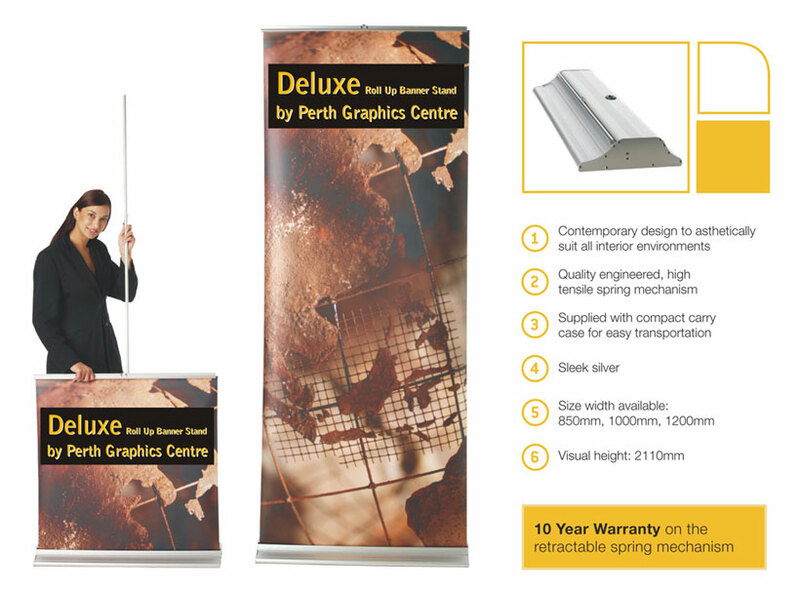 If you need double sided banners, Perth Graphics Centre can do that too. If you’re based in Perth and need banners, then please give us a call so we can quote on your banner needs. Our friendly team at Perth Graphics Centre will be happy to help select the best banners for your needs. 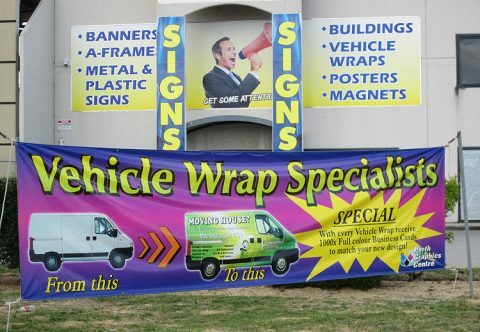 Perth Graphics Centre – Western Australia’s biggest banner producer is waiting for your call. With several councils opting to use street pole banners, Perth Graphics Centre is happy to offer a solution to print and install the banners whether it be one or one hundred. With double sided banners, the best way is to install two banners back to back, and we use self tensioning cords and springs to keep it nice and tight, yet allowing enough give for wind not to affect it. Perth Graphics Centre has the equipment, manpower and experience to get your suburb’s message across and increase your exposure. Head to our contact page to ask for a quote today.